It will come as no surprise that Brexit features in the March round-up of marketing activity, after the PM suffered more humiliating defeats. The rejection of her withdrawal agreement by 149 votes was followed by a vote to reject leaving the EU without a withdrawal agreement and Parliament voting to postpone the fast-approaching departure date. The latest is that MPs have voted to take control of the parliamentary timetable to find a majority for any Brexit option. Justified then, that manufacturers wanted to have their say. This month’s round-up features exactly that – two businesses who (despite their frustration at the uncertainty that still lingers), are speaking on behalf of the manufacturing industry by staying positive and finding business opportunities amongst the chaos. We also take a closer look at more design and campaign activity, a reception overhaul and how presenting to a client has focussed their attentions toward video, YouTube and the opportunities they present. Read up on a selection of projects delivered during March below. C. Brandauer & Co Ltd and its CEO, Rowan Crozier featured throughout BBC Breakfast’s 13/03/2019 broadcast, where they hosted Steph McGovern at its facility in Birmingham. The presenter spent the morning at Brandauer, questioning Rowan on UK manufacturing, investment, new business and exporting but perhaps more poignantly; on contingency planning for Brexit. The feature came after MPs voted 391 to 242 to reject the Government’s deal on March 12th. Cucumber PR – S2F’s chosen partner for PR activity, arranged the interview. Through close communication with Cucumber PR, S2F coordinated social media and YouTube activity during the coverage and post-interview to increase awareness in Brandauer’s presence and encourage engagement. As a result of the coverage, the Brandauer website saw a 1,580% increase, compared to the average amount of visitors on a typical day. Brexit uncertainty rolls on, but PP Control & Automation CEO Tony Hague has an optimistic outlook; in a new video filmed, edited and produced by S2F, Tony talks about the steps that manufacturers are taking to mitigate risk and ensure that they’re not putting their growth plans on hold. Lighting Tony from two angles using LED video lighting rigs, S2F captured the footage through a Canon EOS 6D Mark II and recorded the audio with a Boya UHK wireless lavalier microphone system. Posing the questions to Tony was S2F Director Steve Jolliffe, who ensured the that the video followed a structured approach, capturing the relevant information and soundbites that audiences will be interested in understanding in more detail. Hart Recruitment has been a fun and exciting brand to work with and last month was no exception. S2F Marketing Creative Director, Warren Albutt presented to the team at Hart, demonstrating the importance of video and YouTube to any given marketing campaign. YouTube is the second largest search engine in the world, but businesses are often unaware of how this fact contributes to their video’s marketing potential. With well-prepared SEO and by learning some clever audience retention techniques, your videos can have a major impact on brand awareness and even search rank on Google. Historically, video has been an expensive medium and seen as a large corporation marketing activity but with advances in mobile technology and free publishing platforms, that’s no longer the case. Video has become an essential part of many marketing campaigns and continues to increase in significance as social platforms become more video content focussed. It goes without saying that video’s number one sharing platform is an area you’ll want to understand better. S2F has successfully used video as an instrumental and cost-effective addition to client campaigns, with increased activity over the past year. 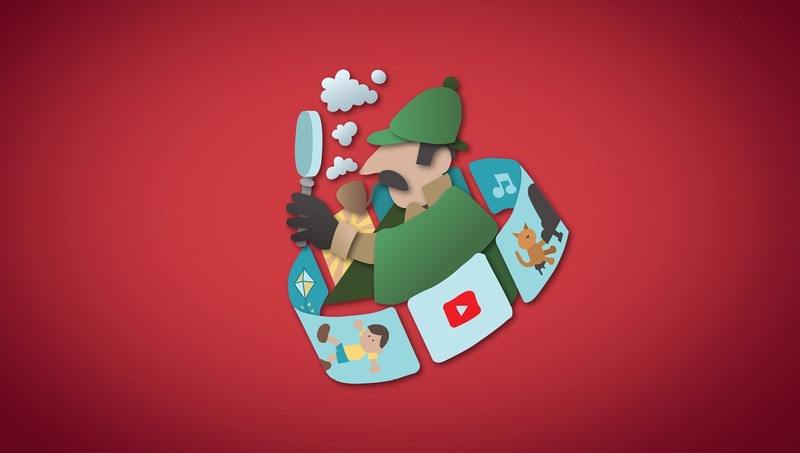 To learn more about YouTube SEO, read Digital Marketing manager, Richard Spears’ recent blog. During March, we were tasked by client, Candidate Source Ltd (the online recruitment media experts) to create an A5 flyer and accompanying social media artwork, promoting their donated raffle prize for the April 2019 TEAM Conference. The prize up for grabs to attendees at the TEAM Conference is a day in the Private Box overlooking the winning posts at Ascot Racecourse. Making use of Candidate Source brand mascot ‘Frank’, S2F enjoyed redrawing him as a jockey in a bespoke illustration, hand-drawn by Studio Manager Richard Hill. The flyer was designed to make the purchase of a raffle ticket (or two) an easy activity for attendees of the event. During March, we ran a service-focused campaign all about MWA Technology’s site surveys. The most important part of the project, as with any good copywriting project, was the research. To communicate the value of service, we had to make sure we understood the problems that it addresses. By identifying the complications that occur when a faulty or mismatched meter is installed, we were able to easily establish the selling points of the site survey. We framed the article around three key questions: “What is a site survey?” “Why should I get one?” and “Why should MWA do it?” These questions formed an easy-to-follow progression that was accessible even to people unaware of the service. We’re very pleased with how the article has tuned out, and we’ll be supplementing it with video in the near future. Just before the end of last year, PP Control & Automation decided to raise their profile in-line with their business growth and brand evolvement from Power Panels to PP Control & Automation by re-addressing and redesigning its reception area. It was up to S2F to design and coordinate a brand-new reception dressing. Completely ripped-out, S2F had a blank canvas to work from, focussing on a better use of space, light and professional presence. When it came to wall graphic design, we knew we would have plenty of brand-new white space to play with but sometimes, less is more. This was a challenge of what to show and what to say where, whilst maintaining some balance between relevant information and overloading the senses. On the first visit, reception was literally a building site, so conversations started around tone, message and what could be done physically. We photographed the room and walls, measuring up as best we could with part ceilings and no flooring. These initial photographs would become starting points for visuals and establishing the likely production costs. The fact that the room was empty meant that we had to work hard to visualise where fixtures and fittings were going to be whilst trying to make the proposed graphics consistent with existing literature, finding a focus-point in the reception area. Once the reception had been rebuilt and fixtures were in place, a 2nd visit was made, and ideas were refined with new visuals and more accurate costs. We listened to the client’s requirements and designed and produced the new visuals, managing the project to its final installation, which was a complete success. It is always rewarding when you see concepts and visual representations transpire in the final installation and shows how working closely with the client and project managing every aspect of the installation with other suppliers pays off.